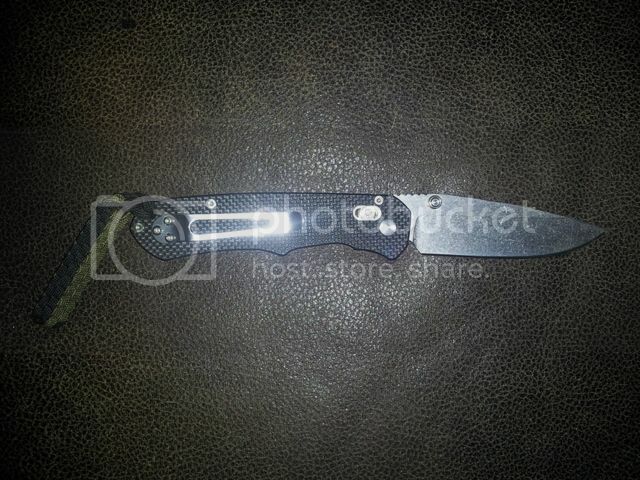 Been poking around ye olde internets looking at these knives from Bee , Navy , SRM and Enlan. They are mostly Chinese knockoffs of U.S. designs . Strange thing is that for the most part they get really good reviews. I watched a few on youtube. Did I mention that they are crazy cheap . Kind of tricky to get here because of patent issues . Can be had through ebay or http://www.exduct.com/bee-knife-enlan-knives.html" onclick="window.open(this.href);return false; Which is apparently a trustworthy vendor . Though suspicious , I am thinking about giving a couple of these a shot . Anybody have any personal experience with any of these . Guess I am gonna have to get a couple and try 'em out and report back . I got my brother one for Christmas, and he LOVES it. He's called me twice to tell me how easily it slices through stuff (the first time it was plastic jugs, the second time it was cardboard). If you decide to buy one, however, DO NOT BUY FROM GADGETSDEALER.COM! I ordered a knife from them, and just now went to make sure I bought something that was in stock, and couldn't find ANY knives on their website. I'm just glad I used a pre-paid card instead of my actual debit card. EDIT: I ordered the Enlan M010, and I am very pleased with it. It opens smoothly, there's virtually no blade play whatsoever, and it came shaving sharp right out of the box. I also like the tight pocket clip, which is a nice contrast to my Paraframe, which had gotten loose and kept falling out. Just be aware that there isn't really a fast shipping option on ExDuct. Last edited by mobilesuithomer on Mon Mar 12, 2012 7:34 am, edited 1 time in total. I have a Sanrenmu which is very nice but was smaller than I would have liked and is tip down carry which was disappointing. Barring that (which was really me not paying close enough attention to what I was buying) it is a great little stout knife. Payed about 12 bucks which is sick for that quality. I just received my ENLAN EL-02B and this thing is a beast! This is easily a $100 dollar knife. Great steel, great quality, tip up carry and razor sharp. It has a heft in your hand hand you don't see this side of a $400 dollar Chris Reeve Sebenza which of course it is a copy of but for $16-$18 bucks with shipping HOW can you possibly go wrong ???? Heck I payed $40 for my last crap steel Gerber. I payed $18 for mine from a US vendor so I could get it in 3 days but it is definitely worth the wait from China. If I lose it like we all lose knives, I will be sad instead of suicidal. I give it 2 Zeds up! Last edited by BlueSilkRibbon on Thu Jun 07, 2012 8:50 pm, edited 1 time in total. Zombie Patrol: It's like neighborhood watch...with Zombies. You know, fightin' in a basement offers a lot of difficulties. Number one being, you're fightin' in a basement. Nice , that is exactly the model I was looking at . Care to let me know where you ordered it from ? mk_ultra wrote: Nice , that is exactly the model I was looking at . Care to let me know where you ordered it from ?